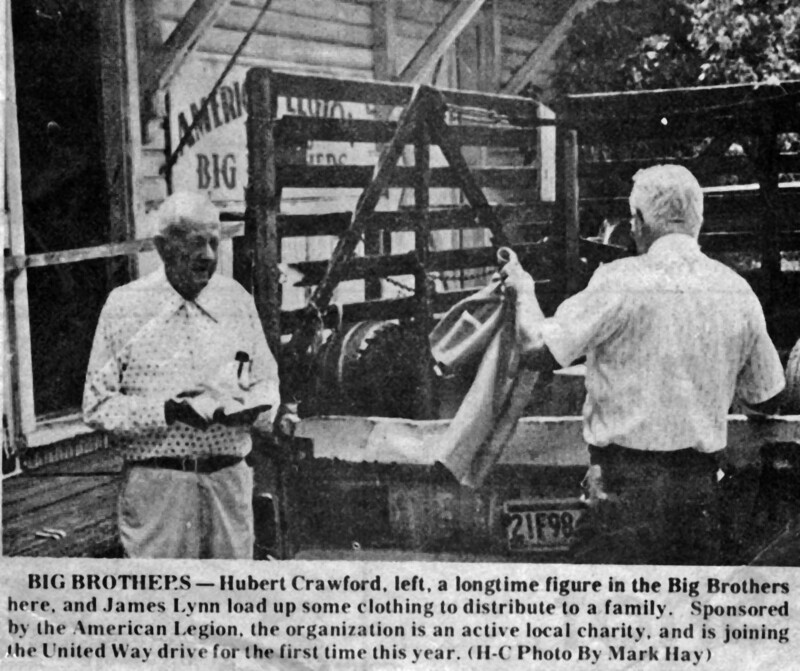 In the above picture Hubert is handing out clothes at the Big Brother building. 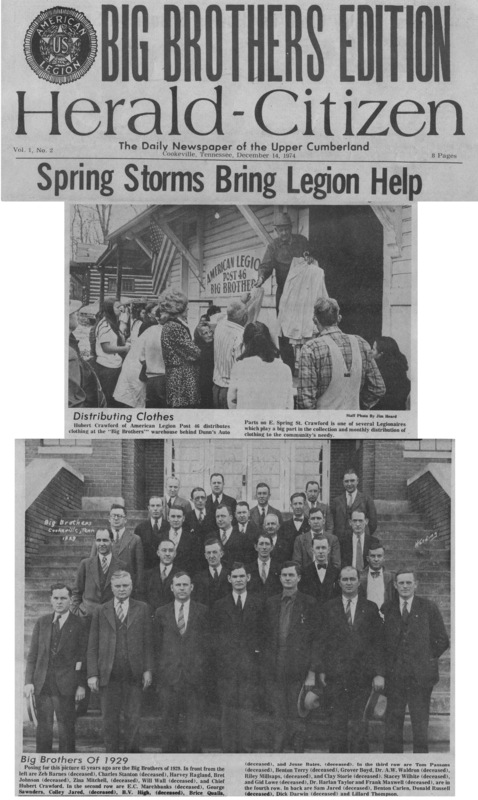 The news clipping below shows Hubert in a picture of the Big Brother organization in 1929. 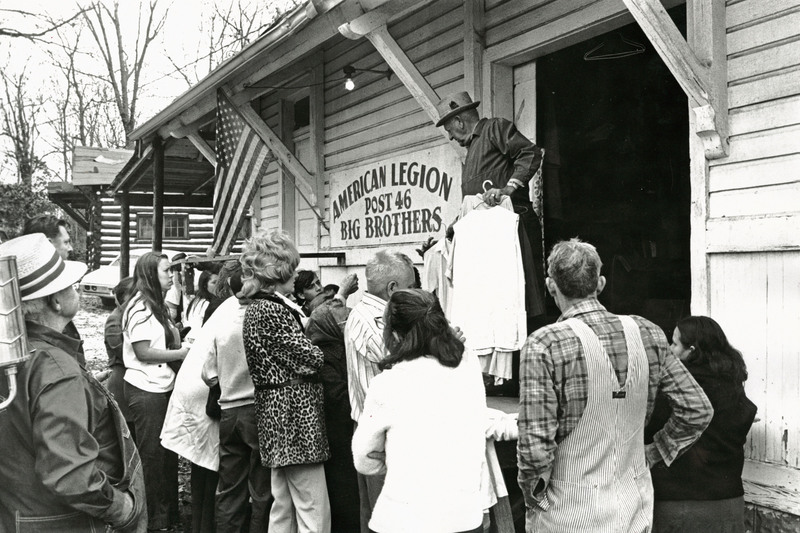 The picture above the 1929 picture was taken in 1974 and shows Hubert handing out clothes at the Big Brothers' building as he did every week. 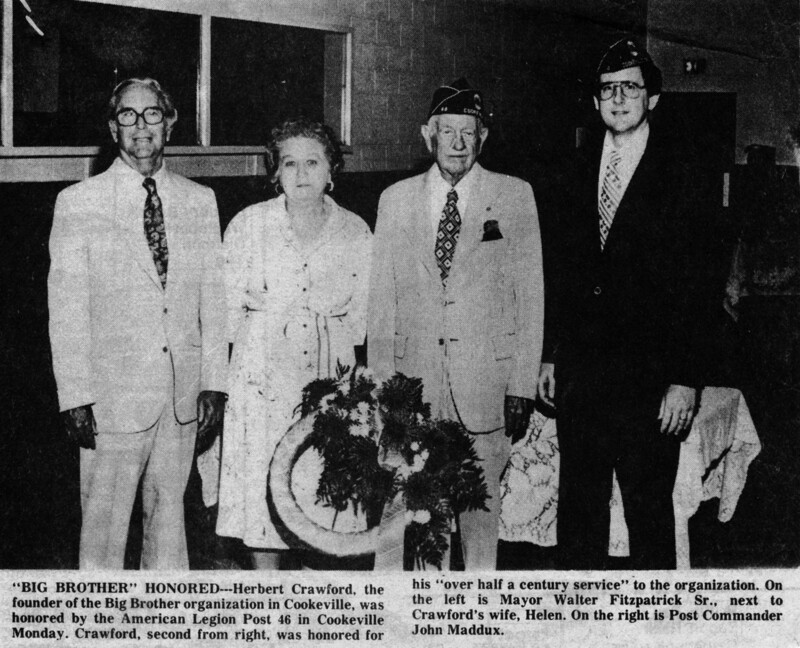 He was the driving force that kept this American Legion tradition alive. 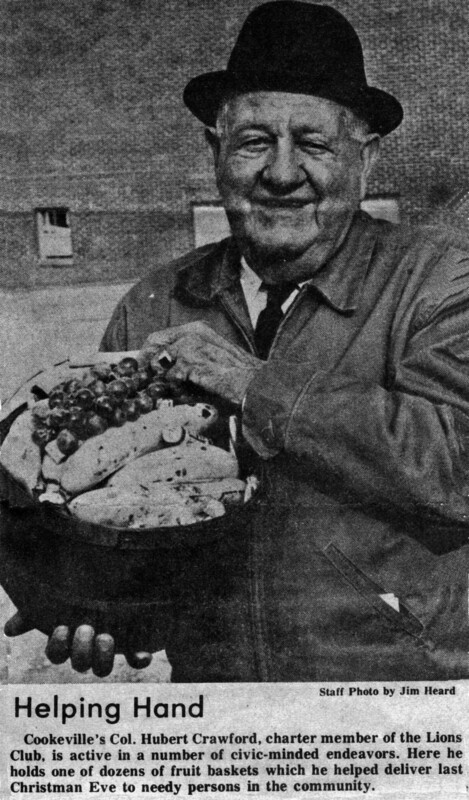 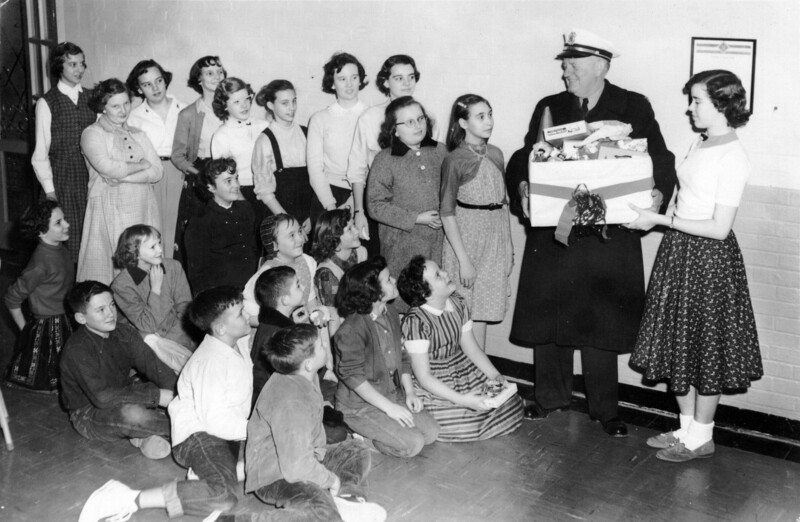 Every Christmas he collected food and toys from merchants and distributed them to needy families around the community. 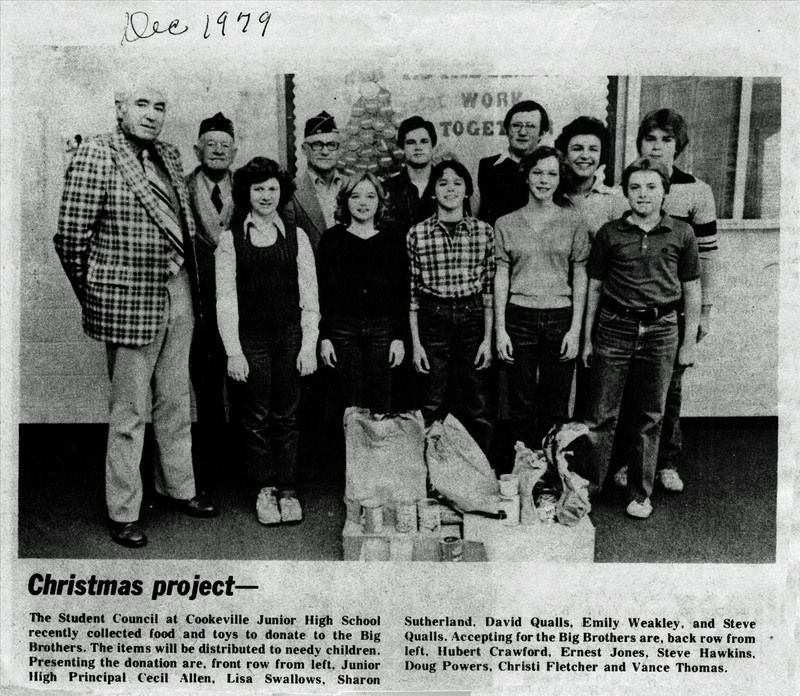 I'm guessing the picture below is another class of students who put together baskets for the American Legion Big Brothers and are presenting them to Chief Crawford. 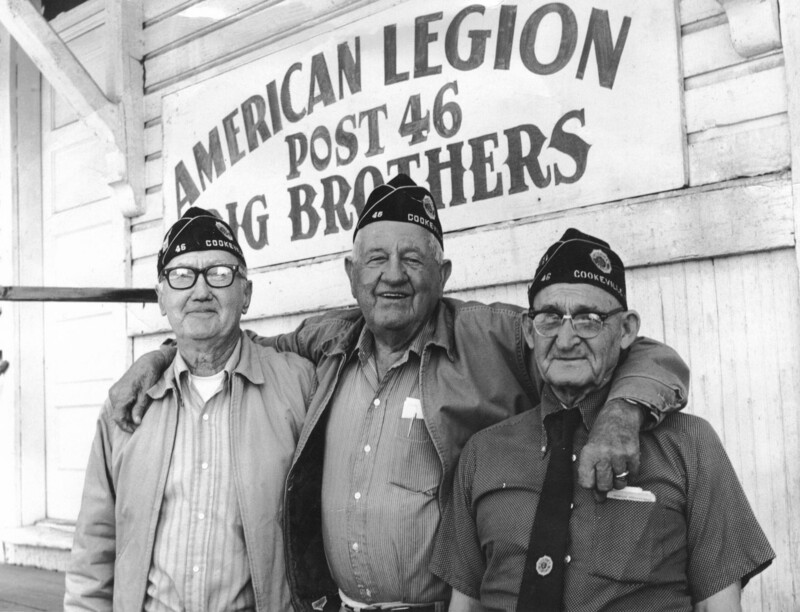 Walter Hunter with Hubert Crawford and another American Legion member in front of the Big Brothers building.